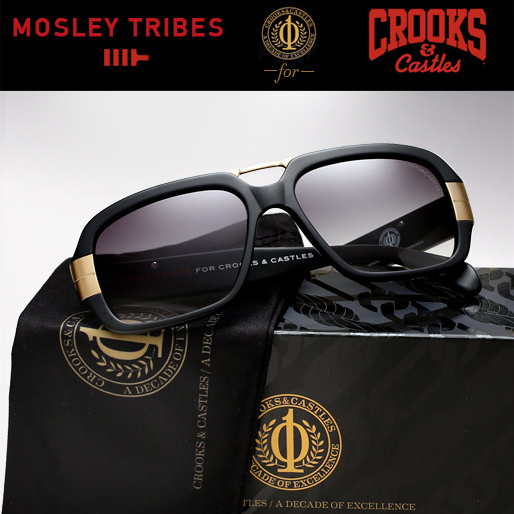 The Limited Edition Mosley Tribes X Crooks & Castles sunglasses are now in stock. –>Matte black zyl acetate with brushed gold finish end pieces. Grey gradient cr-39 lenses with Crooks & Castles etching detail. -> Vintage inspired ‘362 tortoise zyl acetate’ with brushed gold end pieces. Spice brown gradient cr-39 lenses with Crooks & Castles etching detail. The frames feature 10yr anniversary stamping on the inside temple and come complete with a special edition carrying pouch to mark the occasion. 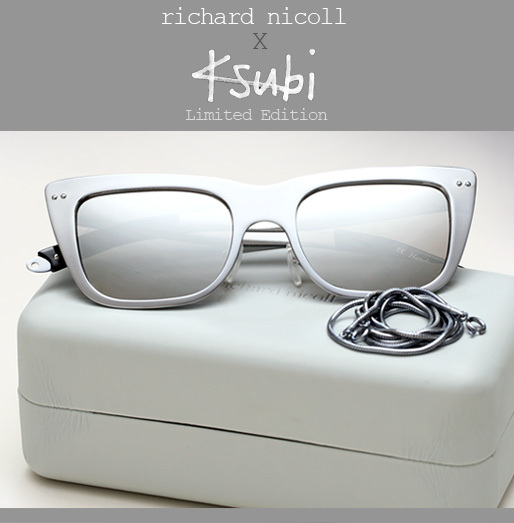 Ksubi Eyewear joins forces with world renowned designer Richard Nicoll for a limited edition capsule collection. The highly acclaimed summer 2012 collaboration between Richard Nicoll and ksubi is based on Henri Georges Clouzot’s unfinished 1966 ‘Masterpiece L’enfer’. The collection is filled with one head turning piece after another: glossed acetate styles with metallic outlined lenses, as well as metal frames polished to such a purity they are indistinguishable from their matching silver mirrored lenses (a strong effect hard to capture on camera, best appreciated in person). 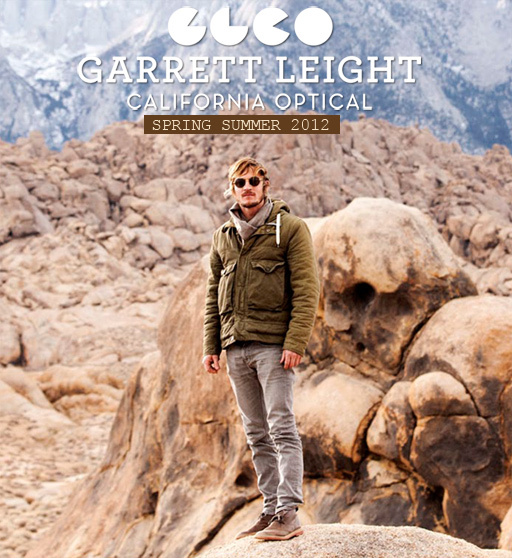 The Garrett Leight California Optical (GLCO) Spring Summer 2012 collection is now available. 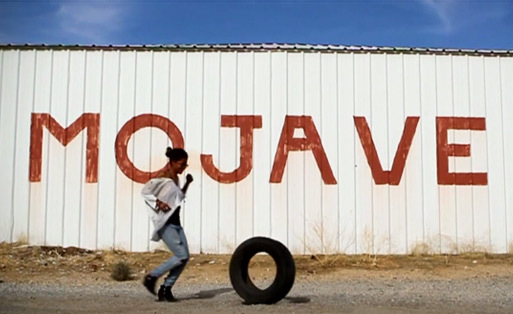 Garrett Leight takes us on an exploration of the California mountains in search of the sun and to present his latest Summer 2012 offering. A fitting backdrop for a collection which shows great range and creatively utilizes an array of textures, colors, and materials. The collection encompasses a variety of distinct new styles. From pieces inspired by classic mid-century design to chic oversized styles for women, each of which has that signature clean GLCO aesthetic we can’t get enough of. The palette includes a host of rich sophisticated colors, including some cool and unique complimentary color pairings, such as: Crystal paired with Aquamarine temples or a Matte Black front paired with “Matte Spotted Tortoise” temples and antique gold metal (one of our favorite combos). As always each is style is perfectly executed using the best materials, notable technical features include: Italian or Japanese aged acetate, real hand-drilled riveted hinges plated in gold and silver for strength/durability, and American Glass lenses with a back anti-reflective coating for superb optics. 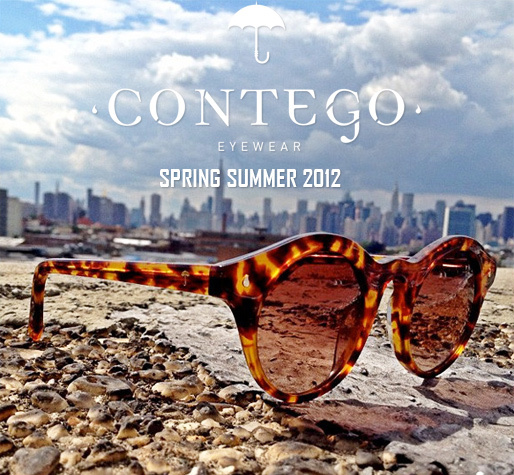 Brooklyn based label CONTEGO Eyewear drops their newest collection of handcrafted frames for Spring/Summer 2012. They introduce five new styles into the lineup, each named after a renowned Nobel Prize winning author: Sinclair Lewis(“The Lewis”), Eugenio Montale(“The Montale”), Patrick White(“The White”), Pearl Buck(“The Pearl”), and Salvatore Quasimodo(“The Quasi”). Each frame comes in some fresh new colors for the season such as blue, purple, or light woodgrain — and as always each is outfitted with stainless steel optical spring hinges for added durability and topped off with their signature umbrella logo and “drop”. 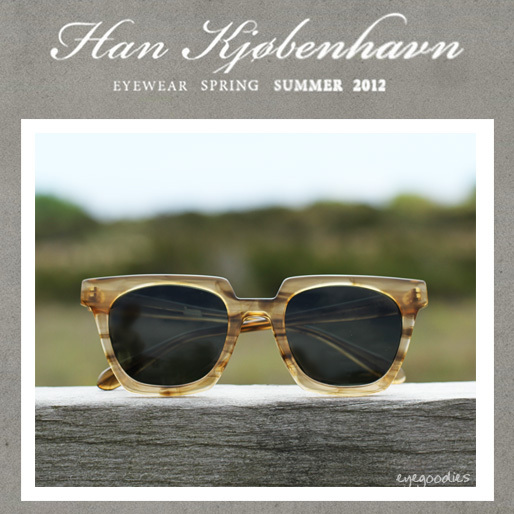 Denmark based label HAN Eyewear’s Spring Summer 2012 collection is now available. Keeping with the brands timeless sensibilities, for summer 2012 Han releases one new style(“Sunny”), a new sunglass clip-on variation for its “Timeless” frame, as well as several new colorways into its lineup. The new “Sunny” shades with its flat top and wide paddle temples is a blend of both new and old-school aesthetics. However the real highlight this season are the new colors for their classic core silhouettes. We see the addition of beautiful “horn” and “tiger tortoise” acetates as well as complimenting frame fronts and temples, such as the Classic Wolfgang wayfarer in a black front with tortoise temples. 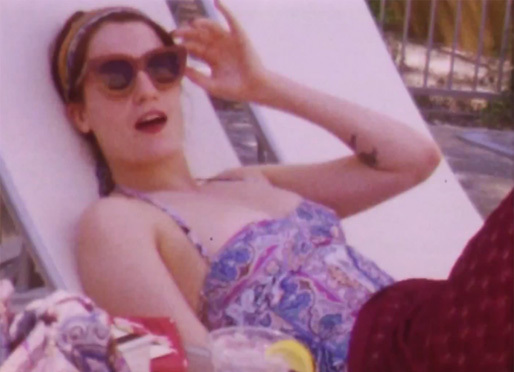 Florence Welch wears Karen Walker Anytime sunglasses in Florence + the Machine’s latest music video: “Breaking Down”. We couldn’t help but notice the very talented Florence Welch in the latest Florence and the Machine music video “Breaking Down” wearing the new Karen Walker Anytime sunglasses. The Karen Walker Anytime is a classic cat eye shape that has been exaggerated in size and thickness, whilst the fit remains perfect for any size or shape face. They go perfectly in the retro grainy super 8mm style video. Florence is wearing them in the stunning Tan color with slight embedded glitter specs which subtlety catch the light, a color fittingly called “Tan Glitter”. 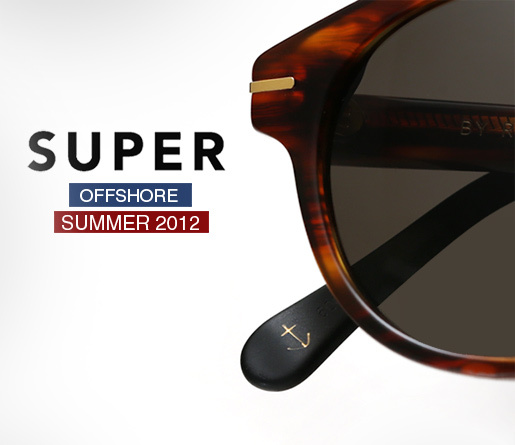 Super sunglasses Offshore Summer 2012 collection is now available. With July 4th coming this week Summer 2012’s officially in full swing, and it looks like its gonna be a scorcher! Super has you covered with some fresh releases to keep you looking cool in the heat. Picking up right where the spring collection left off, Super’s ‘Offshore’ release gives us some Limited Editions as well as one of kind new colorways in their staple silhouettes — Perfect for lounging on the beach or a day out at sea.